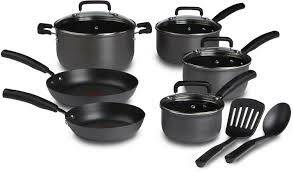 My ‘Operation Home Detox’ recently overhauled our non-stick cookware ‘situation’. I was a big user of these pots and pans. I had them all! Teflon, Scanpan, Jamie Oliver’s non-stick collection, Bessemer. I’d spent hundreds of dollars over the years. And I loved them all before I knew better.